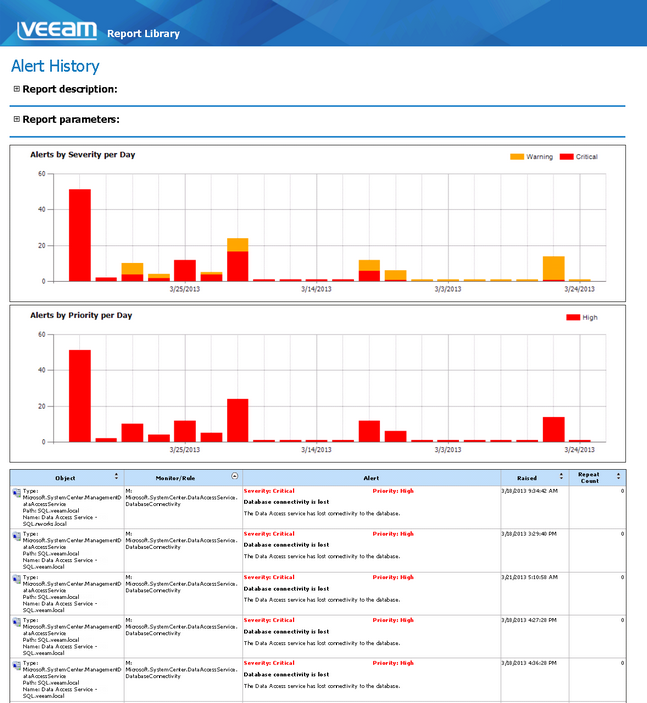 The Alerts by Severity per Day chart will show the number of alerts raised for each day of the week. The chart bars will illustrate how many Warning and Critical alerts were raised. The Alerts by Priority per Day chart will show the number of alerts raised for each day of the week. Name of the infrastructure object that caused alerts. Severity level, priority level and description of an alert. The date and time when the alert was triggered last. Number of times that the alert was repeated.